Christine Thuy Huong is a popular Vietnamese singer who was born on May 29 in Santa Ana, california. Singers she likes are Beyonce, Mariah Carey, and Madonna. Fans can visit her Myspace page to know more about her. Bao Han is the only Vietnamese singer thus far who comes from Vienna Austria. Her family left Vietnam in 1975 and settled in Europe when Bao Han was only 2 years old. Bao Han is a gifted singer who has excellent command of the Vietnamese language. In recent years, Bao Han has traveled and performed all over the world. She has visited many cities in the United States and won the hearts of many fans. The video below is of a live performance of Bao Han singing Hot Stuff and Save Tonight in a concert in Seattle early this year. 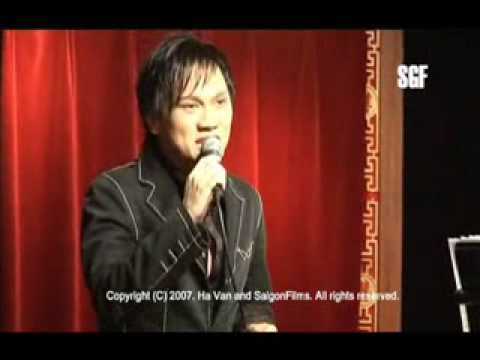 Kevin Kho, born Nguyen Duc Kevin Khoa on January 23, was born in Saigon, Vietnam, and is a popular singer. He migrated to the States in March 1989 and his music can be classified as pop or soft rock. You are currently browsing the Vietnamese Music weblog archives for December, 2008.